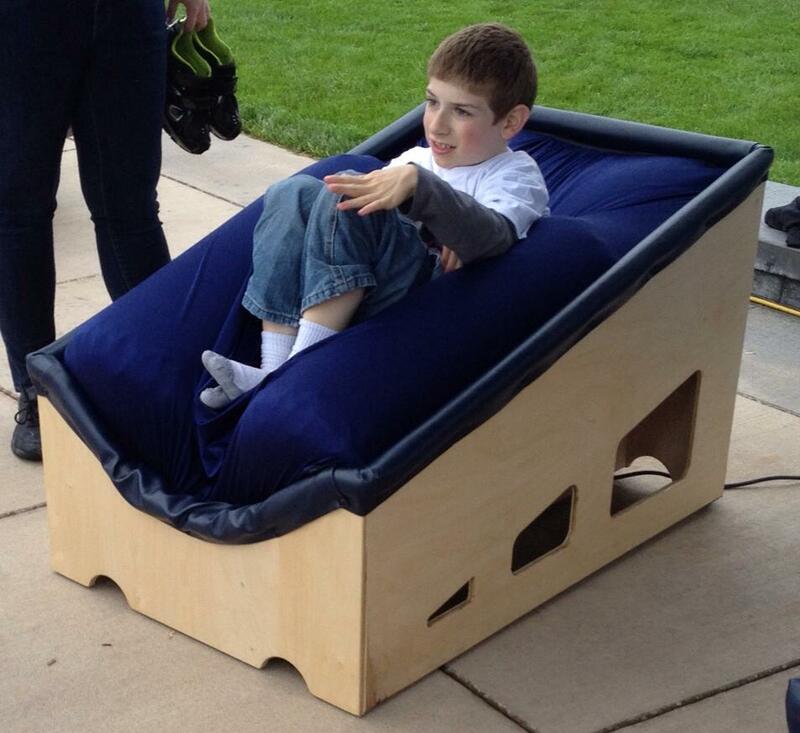 They Invented a Sensory Chair That Gives Kids With Autism a Big Hug – Wow! Meet the “Sensory Lounger”, it’s a new device developed by Kansas businessman, Stuart Jackson, as a sensory therapy method that squeezes or “hugs” its users and calms them. The chair was first specifically designed for Jackson’s own son, Joshua, who has severe Autism and has proven the chair to be very effective. It essentially comforts and soothes kids with autism who suffer from Sensory Processing Disorder, which affects big percentage of children diagnosed with ASD. When a child experiences anxiety that is caused by sensory overload, they can sit in the chair which will apply deep touch pressure to help treat and prevent a meltdown. Watch the video to get a closer look at this amazing device. What are some techniques do you use to help with your child’s meltdown?